It’s a social revolution. The enterprise is in the cloud. What if you could become a social enterprise – now? And that’s just how the morning started. Enter Marc Benioff, chairman and CEO of Salesforce. Then the fun really began. Has social media caused a divide? Marc thinks so, and has pretty convincing arguments about why. But Marc isn’t about identifying problems, he’s about creating solutions. So how do you bridge the social divide? Here’s one example: creating social customer profiles. 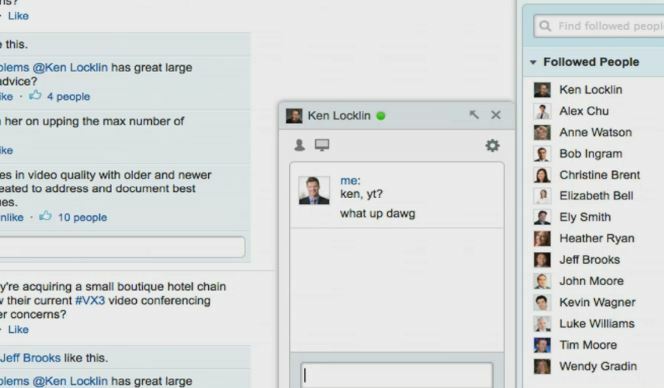 Social contacts allow you to access B2B social media profiles like Linkedin, Twitter, and Facebook, deeply integrated into salesforce.com. Chatter Customer Groups: This feature allows you to allow those from outside the company to join in your chatter conversations, making Chatter even more powerful. Chatter Approvals: Now mangers can approve anything from expense reports to vacation requests directly from chatter. Chatter Service: This is like Facebook chat but with customers – potentially reducing service costs. Chatter Now: Think Facebook chat. You can now chat live with those in Salesforce. Can you say awesome? Chatter Connect: Allows developers to integrate Chatter with other programs. Database.com is now generally available and now has a data residency option (DRO), allowing you to take data from your datacenter and put it into the Salesforce data center (or vice versa). This choice of data storage is definitely desirable to larger companies, especially when corporate compliance or government policies require such. Really big news to the B2B marketing and sales set includes Jigsaw becoming data.com! Import accurate data, clean your data, and access millions of contacts and accounts are all now a reality. Now, this isn’t just a renamed Jigsaw. A big piece is that D&B is now a partner, ensuring that data.com really is the most complete source of accurate business data in the world. And that’s not all. Salesforce also announced touch.salesforce.com which allows for cross-platform mobile access with HTML-5 including your own custom code. Think that’s enough? You know there’s going to be more. 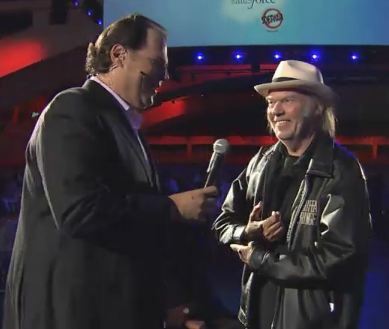 We saw Neil Young talking about using Chatter to help his movie. Seriously – Chatter is helping movies. 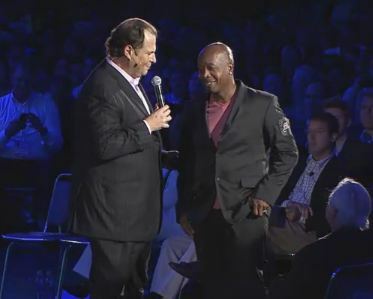 And then MC Hammer took to the stage and talked about how social media affects the music industry.